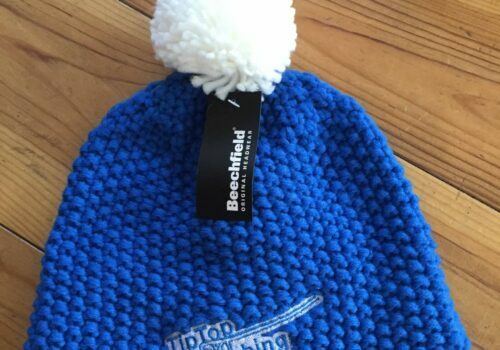 This is a fantastic blue beanie with a white bobble! 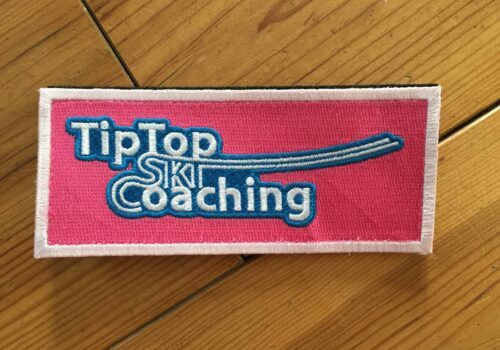 TipTop logo embroidered onto the front. This is a AWD Hoodie, JH003 in Grey with Navy Blue trim. 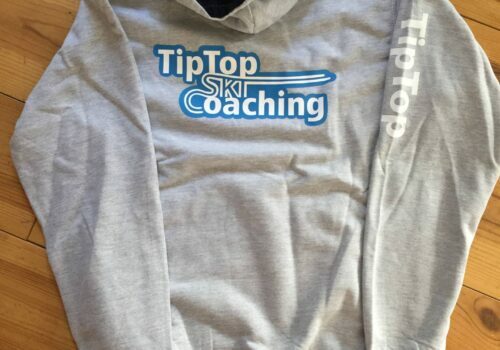 The TipTop logo is in blue and on the back and front of the Hoodie. TIPTOP is marked down the right sleeve. This is a badge with a velcro attachment - great for rucksacks and clothes alike! 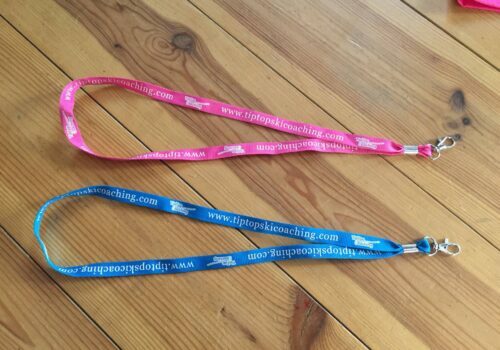 These are available in Pink or Blue and have www.tiptopskicoaching.com and the logo printed on both sides. 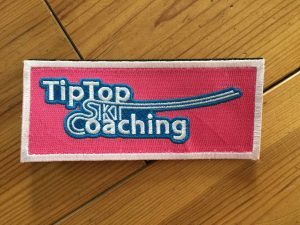 This allows you to upload a short video of you skiing and have a TipTop Coaching analyse it and give you feedback from a far. 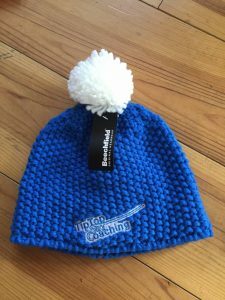 This is a great tool to use if you are working towards your BASI ski instructor exams and wanting to train regularly with a focus. 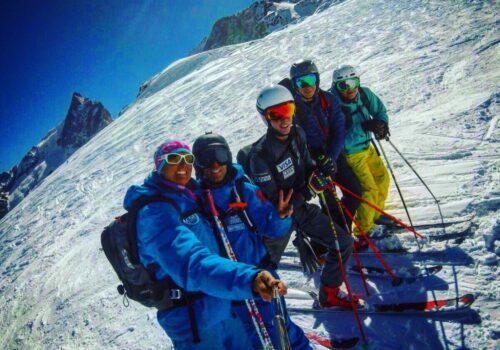 Or perhaps your not sure if your skiing level is appropriate to join one of courses, or you just aren't in Les Deux Alpes and want to benefit from our TipTop instruction! This allows you to upload 10 short videos of you skiing and have a TipTop Coaching analyse it and give you feedback from a far. 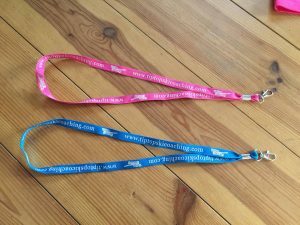 (These can be uploaded over time to ensure a progression in your skiing!) 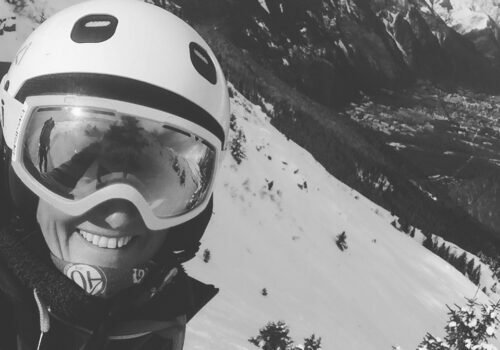 This is a great tool to use if you are working towards your BASI ski instructor exams and wanting to train regularly with a focus. 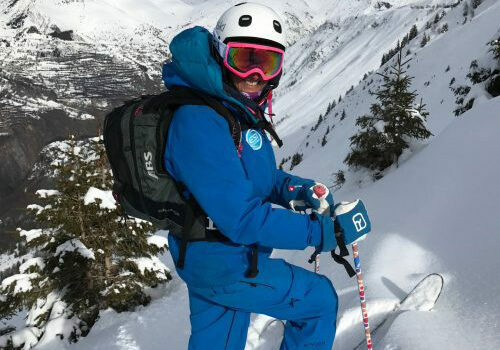 Or perhaps your not sure if your skiing level is appropriate to join one of courses, or you just aren't in Les Deux Alpes and want to benefit from our TipTop instruction!